Welcome to Salzmann Grass and Turf Farm. We are Alabama's leader in residential and commercial grass farms. We grow quality lawn and turf grasses on our farm located in Elberta, Alabama which is located in Baldwin County. We have been serving Alabama, Georgia, Mississippi, Louisiana, Tennessee and Florida since 1980. Our turf grasses and sod grasses are grown with care to ensure our customers get a premium product at a fair price. We are looking forward to serving you and providing you with excellent customer service and can't wait until you are enjoying your beautiful lawn. Buy Your Residential and Commercial Grasses! I am Zack Salzmann. I am a second generation residential grass farmer. Since I was a small child, I have been working on my family's grass farm. I know most everything there is to know about growng quality grasses. For the past three years, I have been taking over the family grass farm business and I have learned so much. The one thing that I hold dearly, is my ability to communicate with home owners and landscapers about what they want and need in order to make their lives a little easier. The one thing I pride myself on, is the ability to listen to my customers. That way, I can prescribe a solution to their Alabama lawn grass needs. 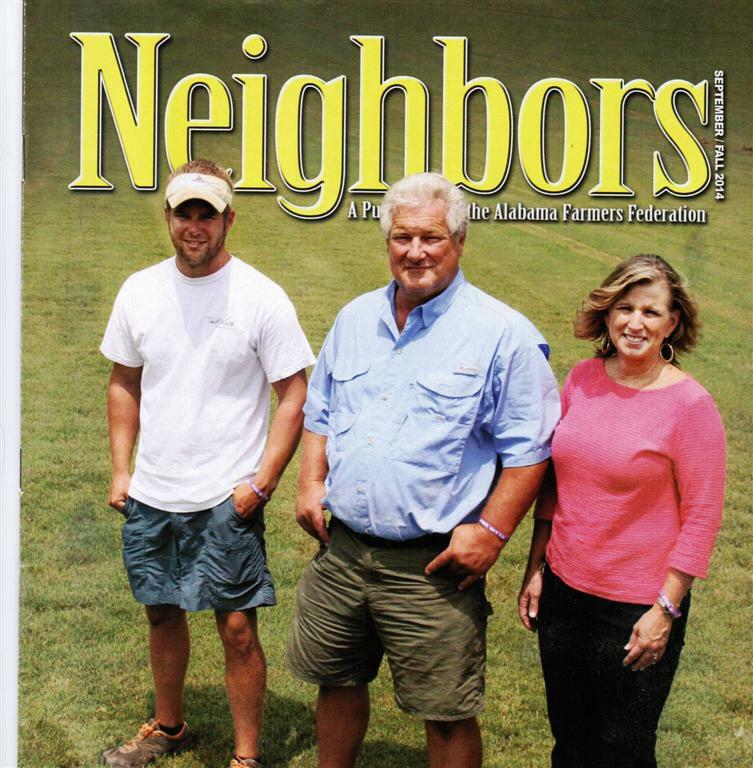 My sod farm is like no other when it comes to growing quality sports turf and lawn grasses on Alabama's Gulf Coast. Our unique soil mixture is nutrient rich and our custom growing techniques makes our turf grasses outlast the competition. Now is the time to plan on planting grass in your yard and sports grasses for next year. Our custom grown football field, soccer field and baseball field turf grasses are the best in the world. We had a cold winter here in Alabama and some grasses are slow to recover. All of our turf grasses we grow in Baldwin County are healthy and ready to be transplanted to make your yard beautiful. Call us today so we can make your yard the envy of the neighborhood. Who knows, you might win the beautiful yard award. Homeowners, Contractors and Landscapers have always had a problem finding a lawn grass farm in Alabama that offered quality sod on a year-round basis and has the ability to install it themselves. Alabama Grass Farms, solves the problem trying to find grass for even the smallest jobs. We make it easy to find quality grasses quickly. We sell directly from the field in small or large quantities. We are a homeowners best friend and a trusted provider of quality lawn grasses. Call us today 251-986-8873 to get the best grass in the country. You will be glad you did.